The Patriarchal Cathedral Basilica of Saint Mark is the most famous of the city’s churches and one of the best known examples of Italo-Byzantine architecture. It lies at the eastern end of the Piazza San Marco, adjacent and connected to the Doge’s Palace. Originally it was the chapel of the Doge and has only been the city’s cathedral since 1807, when it became the seat of the Patriarch of Venice. 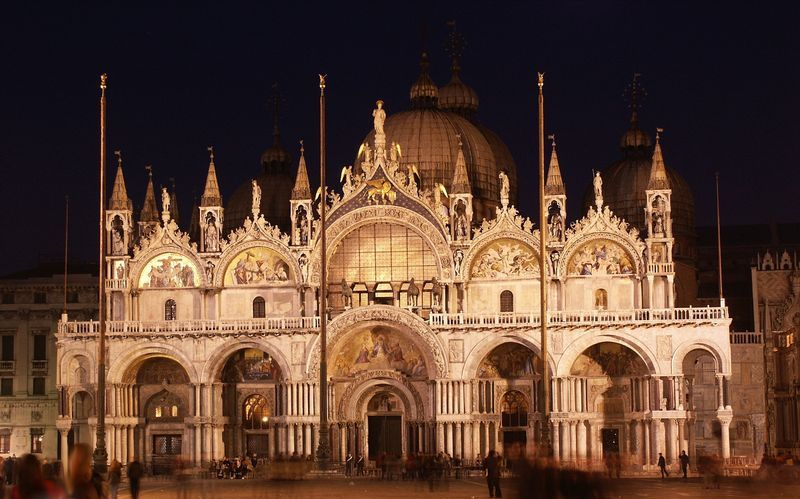 For its opulent design, gold ground mosaics, and its status as a symbol of Venetian wealth and power, from the 11th century on the building has been known by the nickname Chiesa d’Oro (Church of gold). 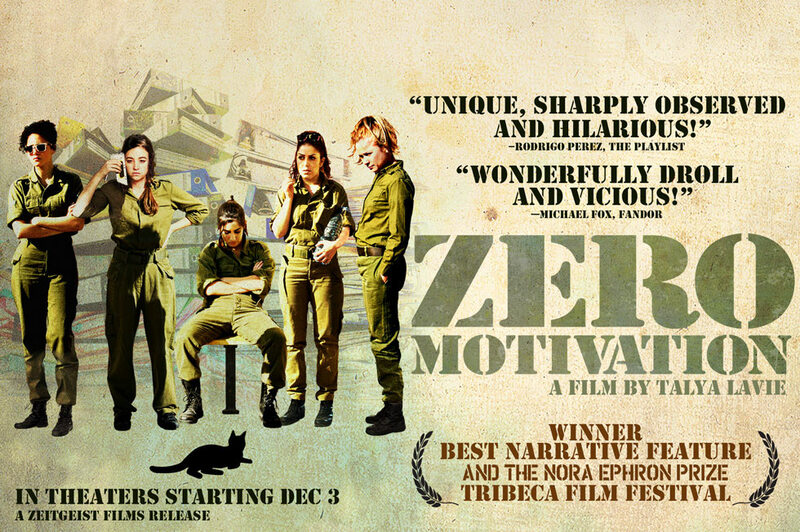 Set in a remote desert military base, a platoon of young women soldiers, all Israeli conscripts, serve out their time playing computer games, singing pop songs, and conspiring to get transferred to Tel Aviv — while endlessly serving coffee to the men who run the show. 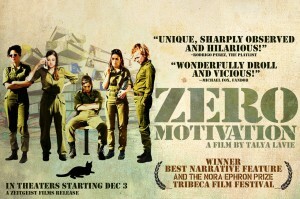 Winner of the top prize for narrative world cinema at the Tribeca Film Festival. Directed by Lina Wertmüller, starring Giancarlo Giannini and Mariangela Melato. Mimi is a Sicilian dockworker who inadvertently becomes embroiled in an increasingly complicated array of personal conflicts. When he loses his job after voting against a Mafia kingpin in an allegedly secret election, Mimi leaves his wife to find new work. He moves to Turin, where he engages in an affair with a Communist organizer. Soon Mimi finds himself juggling two demanding relationships while plotting to take revenge against the corrupt forces that ruined his life. The Orto Botanico di Padova is a botanical garden in Padua, in the northeastern part of Italy. Founded in 1545 by the Venetian Republic, it is the world’s oldest academic botanical garden that is still in its original location. The garden, affiliated with the University of Padua, currently covers roughly 22,000 square meters, and is known for its special collections and historical design. The visit is compulsory for students attending the courses Training in UNESCO World Heritage Studies. The Venetian Ghetto was the area of Venice in which Jews were compelled to live under the Venetian Republic. The Italian name “ghetto” derives from the Venetian language, where it was called “ghèto”. The Venetian Ghetto (incidentally, the first Ghetto) was instituted in 1516, though political restrictions on Jewish rights and residences existed before that date. The Jewish Museum of Venice is not simply an expository space, but a widespread museum, i.e. an urbanity, architectonic and museale complex unique of its kind for its own specificity. It is a little but very rich museum founded in 1953 by the Jewish Community of Venice. The precious objects shown to public, important examples of goldsmith and textile manufacture made between the 16th and the 19th centuries are a lively witnessing of the Jewish tradition. The museum is built in two areas, the first one devoted to the cycle of Jewish festivities and to objects used for liturgy, the latter- planned with a greater educational approach- deals with the history of Venetian Jews through images and objects. 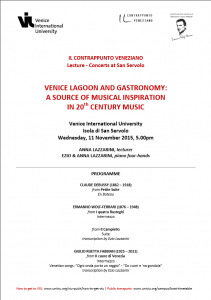 The visit is compulsory for students attending the courses History of Venice. The discovery of the New World raised among several myths the association of Caribs [or “Canibs”] anthropophage cultures with definitions o representations of “barbarism” in support of the presumed superiority of European cultures. Prof. John J. Martin will explore French humanist Michel de Montaigne critiques in his in his Essays (1580) and reports of European travelers to the New World to draw what we might call the ethnographic imagination of early modern Europe. “I cento passi” (one hundred steps) was the distance between the Impastatos’ house and the house of Tano Badalamenti, an important Mafia boss, in the small town of Cinisi in Sicily. The movie is the story of Peppino Impastato, a young left-wing activist that in the late 70′s (when almost nobody dared to speak about Mafia, and several politicians maintained that Mafia did not even exist) repeatedly denounced Badalamenti crimes and the whole Mafia system using a small local radio station, with the weapon of irony. In 1978, Peppino (30 years old) was killed by an explosion. The police archived the case as an accident or a suicide, but his friends never accepted this thesis. 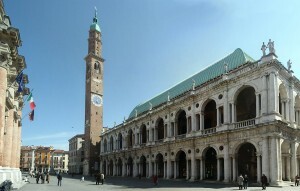 We will visit two main monuments: the Olympic Theatre and the Basilica Palladiana. The first one was constructed in 1580 – 1585 by Andrea Palladio but completed only after his death. 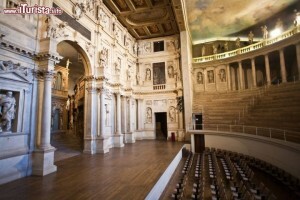 Its first performance was held in 1585 and it’s the oldest surviving stage set still in existence. The second one is the most notable example of the Palladian Window. We will visit also the Palladio Musuem, hosted in Barbaran Da Porto Palace, designed and builted by Andrea Palladio between 1569 and 1575. Since 1994 these three masterpieces of art have been part of the UNESCO World Heritage Site City of Vicenza. The visit is open to all VIU students and faculty and is compulsory for students attending the courses Art and Architecture in Renaissance Venice and Training in UNESCO World Heritage Studies. For students attending the courses Art and Architecture in Renaissance Venice or Training in UNESCO World Heirtage Studies, the visit is sponsored by VIU. 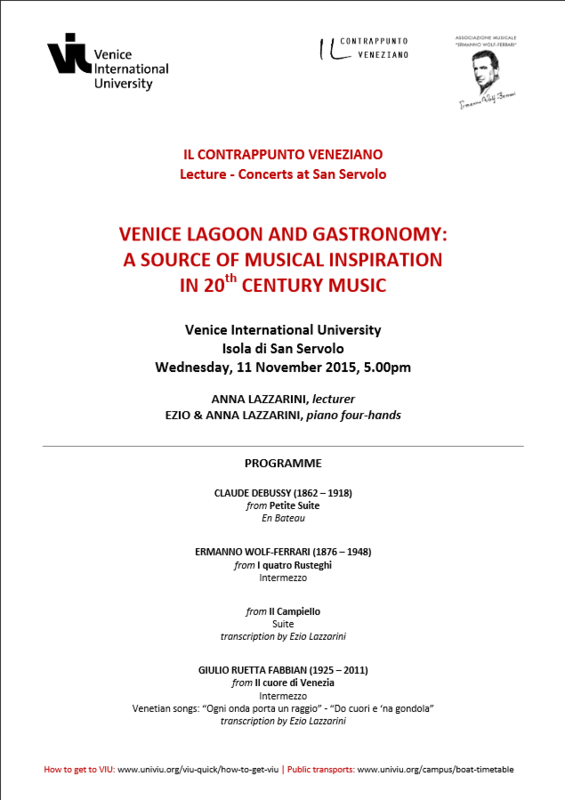 You can find the detailed programme and further information here. 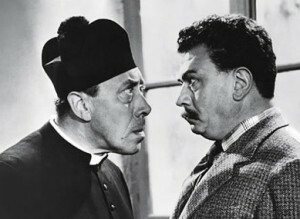 A movie directed by Julien Duvivier, starring Fernandel and Gino Cervi. Ispired by the Italian writer Giovanni Guareschi saga, this film tells the story of a Roman Catholic priest, Don Camillo Valota, WWII partisan and detainee of the concentration camps of Dachau and Mauthausen. The other main character is the communist mayor of the town, known as Peppone. The stories are set in a “small world” (as Guareschi said) and are an excellent representation of rural Italy after the Second World War.